What Do the You Have to Offer? Don’t be ashamed of your past, don’t be ashamed because your skin is darker than mine—I’m not white either, but peaches and cream! The white race should collectively hang their heads if they think they are superior. We are historically known for being assertive and materialist, for getting things done, but is that really what counts? You have traditions, gentler customs than we are known for, and it brings tears to my eyes and I’m not the weepy type. Some of you come from cultures that deeply respect your elders, may God bless you. When so many from the same area are sweet and mannerly, I know it’s more than just a coincidence. Okay, it’s time to get more specific. I was reading Chicken Soup for the Mother’s Soul Book 2 just now and these Native American’s girls had the custom of spending one day alone, each month, during their menstrual cycle to contemplate on what kind of person they wanted to become. Was that part of your lineage? Just imagine the quality of character that could develop from taking the time to prayerfully meditate beginning in your formative years and continuing throughout life. Now, let’s go way across the ocean, to the other side of the world, and learn about a different group of women. These wonderful African ladies obviously valued children highly: well before the child was born, even before conception had taken place, they would go off alone to listen to the song of the infant they hoped to carry. 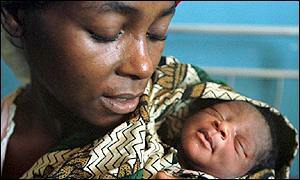 All throughout the pregnancy, they will sing this song, and teaches it to the old women and midwives in the village. At birth, the child is greeted by ‘their’ song and soon all the village learns it so that at every high point, or time of distress, it is being sung to the growing child and later adult. Doesn’t that sound so peaceful and loving? Doesn’t it seem like a beautiful way to knit family members, a village, together? I only wish I knew more details about these wonderful people, where they came from, what their names were, and so on.